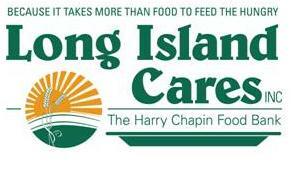 Once again, along with the Paramount we are teaming up to support Long Island Cares, Inc.-The Harry Chapin Food Bank by hosting a food drive and asking everyone coming to the show on 11/21 to bring a donation of a non-perishable food item to help feed the hungry on Long Island. Long Island Cares will also be hosting a special raffle to win a custom-framed drum head signed by each of the members of Taking Back Sunday as part of their “Beat An End to Hunger” campaign. Stop by their information table in the lobby on the night of the show for more information on purchasing raffle tickets. Get more information on Long Island Cares HERE.